Red print cartridge for laser printers and multifunction devices such as HP Color LaserJet. With this cartridge you will always achieve professional print quality with vivid colors and sharp text. It is also excellent for printing photos. Printing with the cartridge becomes very economical. You can rely on smooth and fast printing. Average continuous black cartridge yield is 3,500 standard pages. (Based on ISO/IEC 19798). For shipping to other EU countries visit this page HP CC533A no. 304A red. Chcete doručit zboží do Česka? 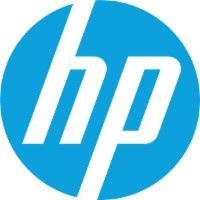 Prohlédněte si HP CC533A č. 304A purpurový. Chcete doručiť tovar na Slovensko? Prezrite si HP CC533A č. 304A červený. Magyarországra történő kiszállításért tekintse meg ezt a termékoldalt: HP CC533A 304A sz. piros.